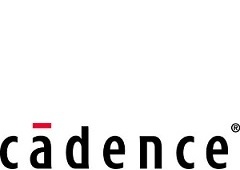 The Cadence Academic Network was launched in 2007 by Cadence Europe. The aim was to promote the proliferation of leading-edge technologies and methodologies at universities renowned for their engineering and design excellence. A knowledge network among selected European universities, research institutes, industry advisors and Cadence was established to facilitate the sharing of technology expertise in the areas of verification, design and implementation of microelectronic systems. The Design Methodologies group is member of the network since 2007. 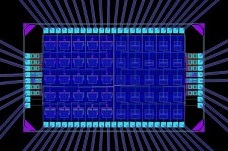 Our research focus concentrates on the design of analog integrated circuits. Thus the Cadence suite is heavily used to prototype and verify ideas generated through our research activities. Cadence tools are used and referenced in our lectures and labs. 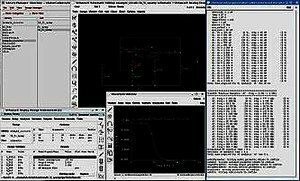 This allows our students to acquire state-of-the-art methods in circuit system design and therefore our students have the unique possibility to get "hands-on" experience with software widely used in the semiconductor industry. Lab "Analog Circuits in the Information Process" The complex design flow of analog circuits is part of our practical lab Analog Circuits in the Information Process. Cadence tools helps to understand analog circuits and their design. Students will have a practical and global view about synthesis and analysis tasks. Lecture "Electronic Design Automation" This lecture gives an overview over EDA-Tools and their background. Cadence Tools are referenced and used partly in the practice part of the lecture. Lecture "Design and of Analog Integrated Circuits" This lecture teaches the design of analog circuits with an emphasis on EDA-Tools for analog circuit design and analysis. Cadence Tools are referenced and used partly in the practice part of the lecture.